Dietary Antioxidants Avoid Blindness - WANT to have sharp eyesight and avoid the risk of blindness? Try to add healthy meals contain antioxidants in your diet. 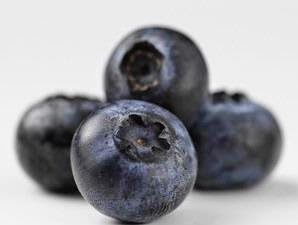 Eating regular food sources rich in antioxidants such as blueberries, artichoke (Helianthus tuberosus) and pecans nuts may be helpful to avoid loss of quality of vision which can lead to blindness. As reported in the Journal of Biological Chemistry, the research indicates that antioxidants can block the process or worsening macular macular degeneration - the most sensitive part of the retina. Antioxidants also play a large extend the lifetime of retinal cells in the eye and footoreseptor. Researchers explained that macular degeneration is usually caused by a process called "destructive synergy" that occurs when there is an accumulation of substances called A2E that disrupt energy production in the mitochondria, or power generation in the cells. The lack of energy produced by mitochondria will interfere with the activity of maintenance and cleaning of photoreceptors and retinal cells of the eye every day. As a result, A2E will continue to accumulate and lead to damage to the visual cells that are vital and irreplaceable. Research experts from Brigham Young University and Weill Medical College of Cornell University using the visual cells of the human eye, mice and cattle have shown that antioxidants actually able to block and prevent damage caused by this process.